Welcome home to 70 Pine Island! Easy access to both 293 and Rt 3, yet on a quiet neighborhood street. This super split level features a first floor with a spacious living room, eat in kitchen with slider out to deck, updated full bathroom, and 3 good sized bedrooms. Finished daylight lower level includes a large den (currently being used as master bedroom) along with unfinished storage and utility room (Washer and dryer included). 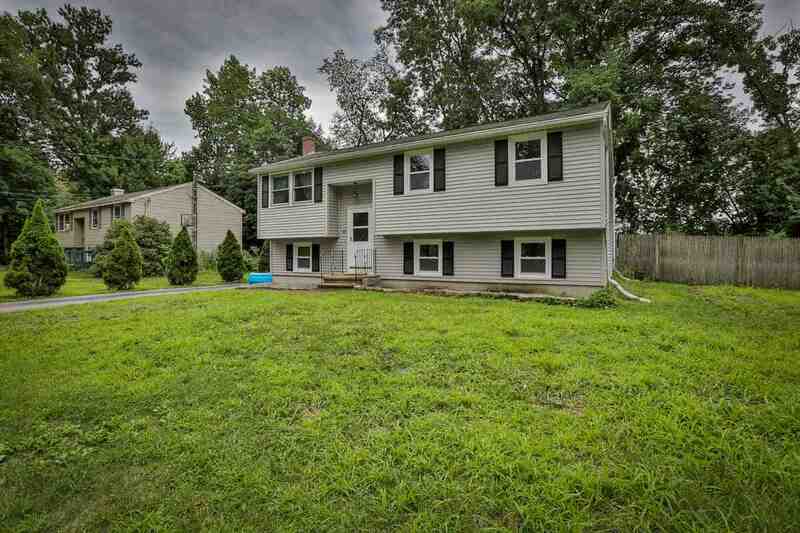 Partially fenced in yard, paved driveway, nice level backyard, all on 0.19 acres on a quiet dead end street. Recent improvements including roof, replacement windows, vinyl siding, new light fixtures and new flooring. Come check it out today! Room 1 Dimensions: 10&apos;6" X 14&apos;4"
Room 2 Dimensions: 17&apos;2" X 9&apos;3"
Room 3 Dimensions: 12&apos;4" X 9&apos;2"
Room 4 Dimensions: 11&apos;11" X 10&apos;2"
Room 5 Dimensions: 10&apos;10" X 9&apos;9"
Room 6 Dimensions: 5&apos; X 7&apos;4"
Room 7 Dimensions: 15&apos;2" X 19&apos;8"